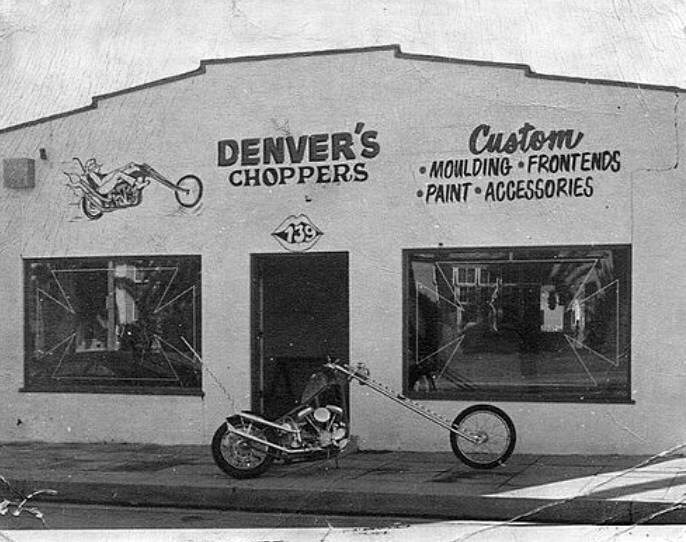 Mondo Porras, owner of Denver’s Choppers, started building custom bikes with his partner Denver Mullins in San Bernardino, CA in 1967. Denver’s Choppers bikes have been featured in hundreds of magazines around the world for 37 years. Mondo was awarded, “Best Custom Fabricated Bike Builder of the Year, 2001”. He also has the great honor and distinction of having a Dave Mann Painting done of him riding the 30thAnniversary of EASYRIDERS® Magazine. “As with all stories, this one begins with an idea and that idea was to create a chopper that embodies the EASYRIDERS® image as we break the 40th year mark. Only one builder could do this with us, a man with a passion for the lifestyle and a lifelong dedication to making the best choppers on the planet.” As quoted by Dave Nichols, Editor, EASYRIDERS® Magazine June 2001. Mondo was a participant on the Discovery Channel® Bike Build Off against Indian Larry that ended to tragically with the loss of Larry. Appeared with Billy Lane in the Blood, Sweat and Gears Tour for the Discovery Channel. Filmed many motorcycle shows, ESPN and Speed Channel. Mondo has been featured in motorcycle publications worldwide as well as in hardcover books. Mondo has been dubbed as “The Godfather of Choppers” by his peers. Denver’s Choppers was the first company to manufacture the long down tube stretch frames, or the Swedish style as they became known, which was actually Denver’s style. There is even a motorcycle club in Sweden called Denver’s Choppers, so named after the long stretch bikes. Denver’s Choppers became famous worldwide in the early 1970’s, and their parts have been used by world renowned bike builders over the last three decades. Denver’s Choppers has been and will continue to be one of the leading trend setters in the industry.